Atlanta Web Design Solutions take extreme pride in the product that we send out to the market. Our high quality of work and excellent customer service is validated by the success of our clients both domestically and internationally. We design websites using multiple platforms including WordPress, Drupal, Joomla, Concrete5, Magento, OSCommerce, Shopify, and many more. Planning a website is 75% of the work involved with each design project. Coding (programming) is the easy part. At Atlanta Web Design Solutions, we spend the majority of our time planning the perfect design that successfully conveys your company’s mission and goals and works well for the user experience. Each web page is crafted specifically for that topic. The home page is the perfect platform to use for summarizing the content that users will find on your website. To help move things along, we encourage our clients to fill out the Pre-Design Survey. This survey allows us to understand how to build your website, which website creator (or content management system) you prefer, which, if any, web site templates you prefer. Designing your website is a cinch now that we know how you would like to construct your design. We build web sites on demo servers to allow clients the ability to continue business as usual if they have an active site. We will provide you with a link that you are able to visit and follow the design process from beginning to end. 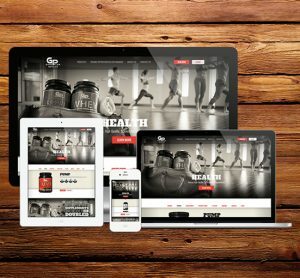 During the web design process, we will review additional marketing, branding, and advertisement services available for low costs that work well with your project. As your web developer, we will create a website that is easily navigable and works well with other web design software or web site creators. You will have the option of creating custom plugins and extensions, graphic design images, and photography, as needed. Publishing your website is the simplest step in the web design process. We can work with any hosting provider to upload your new design and make it live for use by your audience. We also provide hosting services for clients as needed and for low costs. On “Publication Day” we give special attention to your project for a full 24 hour support period. We are available to ensure that your site is functioning properly and that we are able to respond to any issues as quickly as possible. Additionally, we offer a low cost full service maintenance program for ongoing assistance with your web design project and exclusive marketing opportunities with affiliate partners. Whether you’re goal is to have a successful, custom built, Atlanta web design or to redesign or add functionality to your existing site, Atlanta SEO Works has the knowledge and tools you’re looking for. We excel in Atlanta web design, taking our clients to the next level. Our team of web designers has the experience and skills to develop websites that are both beautifully designed on the exterior and interior. We build websites to accommodate your existing server or will help place your site with a web hosting account that best suites your needs. Because we offer our clients all of the latest interactive features, we give the smallest of companies the advantages big corporations have. Managing your site can be a breeze with data-driven sections which allows for easy interactive updating of your content. Manage information about your visitors with online databases. Scripting and programming is used to add interactivity and style to web pages. The possibilities of your web design and functionality is unlimited.Because we are your local Atlanta web design firm, we will meet with you one on one to design the finest web design catering specifically to the individuality of your company. Atlanta SEO Works crafts dynamic solutions to your Atlanta web design needs.